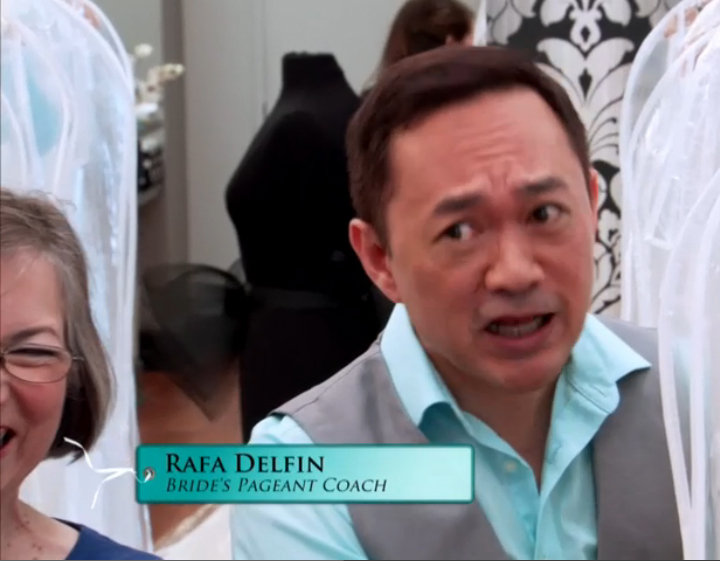 Critical Beauty: Miss Massachusetts USA 2011 Alida D'Angona & her pageant coach Rafa Delfin appear on TLC's "I Found The Gown"
Miss Massachusetts USA 2011 Alida D'Angona & her pageant coach Rafa Delfin appear on TLC's "I Found The Gown"
Ex-Miss Massachusetts USA 2011 Alida D'Angona, who competed in Miss USA 2011 pageant, appears on the new season of the hit show "I Found The Gown" on TLC (The Learning Channel). The episode, entitled "Family Knockdowns and Dress Knockouts," debuted on Saturday, April 19th at 10 PM EST. The show was filmed last November at Vows Bridal Boutique in Watertown, a suburb of Boston. The boutique, owned by Leslie and Rick DeAngelo, specializes in selling high-end designer gowns at discount prices. Assisting Alida in her quest for her ideal wedding gown are her mother Miriam, her sister Cynthia, her best friend Casey, and her pageant coach Rafa Delfin of Critical Beauty. Did Alida find her ideal wedding gown? You'll just have to watch and find out! If you missed the premier of the episode, don't worry. Check the schedule for repeats. Meanwhile, you can watch this two-minute preview. Looks like someone is being very critical! Looks like Alida sees something she really likes! L-R: Miriam (Alida's mom), Rafa, Alida, Casey and Cynthia pose for the camera after the filming of the show.